The Damsel Marabou Olive is a good standard stillwater pattern for throughout the season. Hook : Scorpion Nymph Special. Eyes : Green glass beads. Body : Marabou dyed medium olive. Rib : Clear nymph body glass. Thorax : Medium olive dubbing. Wing cases : Olive dyed feather fibre slips. Legs : Olive dyed partridge. 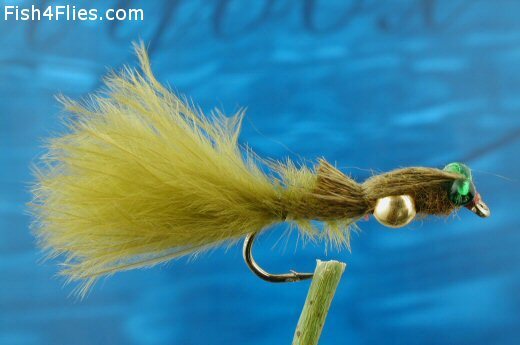 Currently there are no comments about the Damsel Marabou Olive fly pattern from other fly fishermen yet.